Great for Lent or Easter! 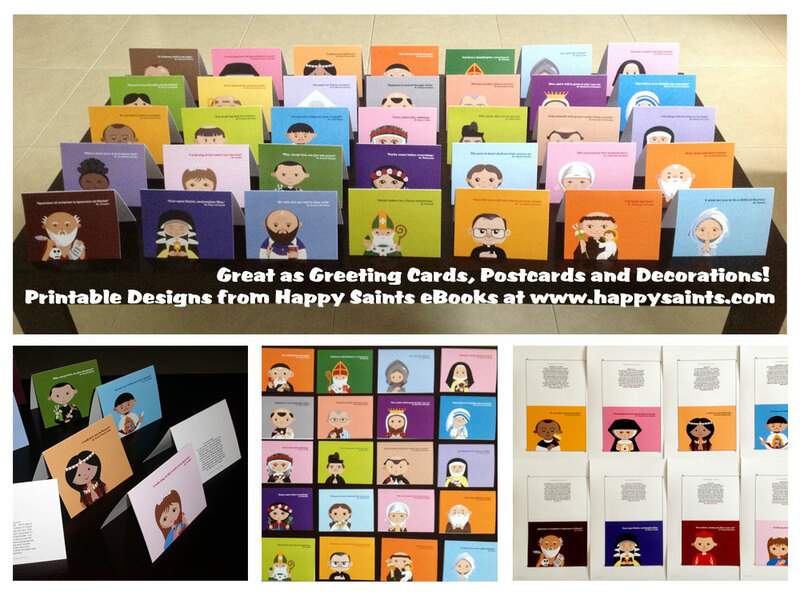 Printable prayer cards and greeting card designs from Happy Saints eBooks. They are great for greeting cards, postcards, decorations and a whole lot more! Put a different one on your desk everyday and have a saint as your companion! A total of 45 saints are available in 3 Happy Saints eBooks.